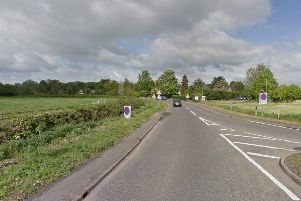 A woman was cut free from her car following a serious crash on the B1090 at Woodwalton yesterday. Two crews from Huntingdon and Stanground were called to help the trapped female motorist at 10.28am yesterday, Monday October 4. Using specialist cutting equipment, firefighters removed a female casualty from one of the vehicles and returned to their station by 12.22pm.